I learnt a big lesson in life the other day. Or, I should say, I was reminded of a big lesson. 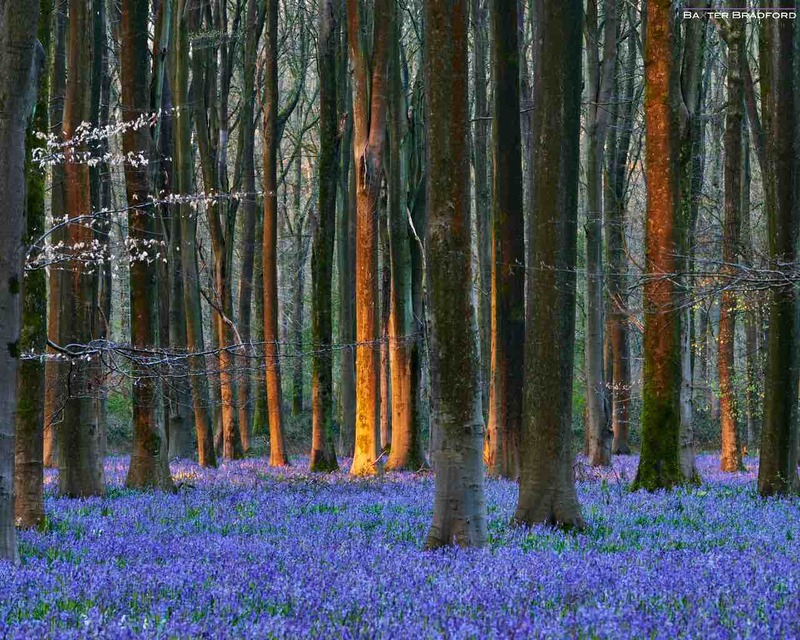 There is little so good for the soul than the exquisite blue haze of a bluebell wood. They are a complex plant with as much above the ground as there is below; apparently part of their unique structure is a symbiotic relationship with a massive fungal network that links them all beneath the ground. But they share their beauty for only a brief period before dying back and feeding the soil for others. We were at the end of the 3rd week of May and for weeks I had wanted to spend time walking in the bluebell woods not far from my home. But something else always seemed to pop up, there were always higher “priorities” – nothing specific, just general life doing what it does, filling our time, keeping us busy. With two active and passionate children it really is not hard to be busy. But I knew that my time was limited and that I would be pushing the edges of the bluebells short bloom. So at the end of a busy Sunday I said “Come on family, let’s go to the woods”. Though late in the day we would still have 2 hours before dusk. As I approached the woods, I knew in my heart of hearts that I had missed the best. I knew that I had pushed it and, though I fought to admit it, I prepared myself for disappointment. A few bright bluebells on the side of the track approaching the woods raised my hopes, but as we entered so my heart fell. The long straight leaves of the bluebells had already wilted to form a rich green carpet, above which all we could see was a light dirty grey haze of dying bluebells. I was too late. We were too late. Through my tardiness and apathy not only had I missed the opportunity, but I had denied it from my family too. I had taken away the opportunity for my 13 year old son, my 11 year old daughter and my beautiful wife to stop and marvel at the beauty of nature, to reconnect with our enriching and nourishing planet and to stop and reflect a moment in their hectic lives. The loss was mine and my loved ones. I would now have to wait another 12 months, another year of my life, and theirs. Another whole year. If there is something you know you want to do, then you must make it happen. Clear the distractions. Re-prioritise your time. Make no excuses. Everything else can wait. It can. It really can. Only you can make it happen, and only you can stop it happening. You cannot externalise the blame to “life” or others. The blame is yours and yours to live with. It did sadden me at the time, but as we continued our walk, so we were able to enjoy and marvel at all of nature’s always changing beauties. The walk was not wasted. The joy was still there. Our little family unit shared something beautiful, but just not quite as blue as it could have been!